We are architects, landscape architects, planners, educators, and community organizers brought together by a mission to support communities in realizing public places, that reinforce what make those communities unique and powerful. As designers, we lend our skills sets and expertise to give structure and form to ideas generated by you - the experts on your own environment. As educators and organizers we are always working to make the power of design accessible to those who have traditionally been left out of design discussions and to bring contemporary theory and innovation to expand the benefit of new ideas to all people. Alexa Bosse is a registered architect and founding principal of Hinge Collective with masters degrees in both architecture and landscape architecture from the University of Pennsylvania. With professional experience working across design disciplines and across both non-profit and private sectors, Alexa has honed her skills as a convener and a facilitator to realize ambitious projects. As a Program Manager at the Community Design Collaborative Alexa was able to connect designers to child behavioral specialists and academics in ways that had never been attempted to bring national attention to the importance of play as a key design driver in the built environment. As a leader of Hinge, Alexa has worked with community organizations, city officials, local business owners, residents, and youth groups to build consensus around the realization of badly needed safe, quality, public space. Alexa has taught graduate and undergraduate level studios with a focus on public interest design at The University Of Pennsylvania Graduate School of Design, Jefferson University, and Drexel University. 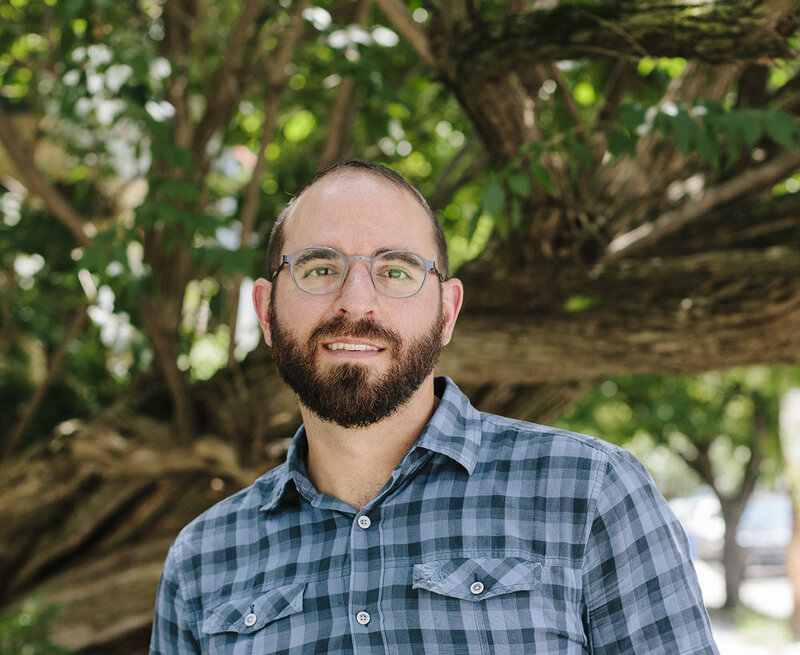 Ari Miller is a registered landscape architect, certified arborist, and principal at Hinge Collective. With 15 years of professional experience on a wide array of projects, Ari has always been guided by a passion for finding the intersection between living systems and social equity. Prior to joining Hinge, Ari was an associate at OLIN Landscape Architecture where he directed nationally recognized projects such as the 11th Street Bridge Park and the Sylvan Theater at the Washington Monument in Washington, D.C.. In every project he has sought opportunities to restore ecologies to support communities. Through this process he has built set of skills in providing high level visioning while developing the necessary technical understanding to support these goals. At Hinge Collective, Ari brings his skills as a designer and naturalist to create compelling designs that highlight the importance of nature in cities. Ari has taught graduate and undergraduate level studios at The University of Pennsylvania Graduate School of Design and Jefferson University.